There are some people you meet in life and instantly feel inspired and almost better by being with them. JohnPaul is one of those people. I remember meeting him the first time long about 3 years ago and sitting in front of the camera thinking I need to know this guy he oozes talent and passion. His poise behind the camera and his love for his craft was simply fresh in his life at that point, but I have had the pleasure of knowing him throughout his creative journey thus far. He has a kind heart and a real love of people. There is no time you spend with JohnPaul that isn’t fun, full of joy, and encouragement. He is humble, honest, and driven. 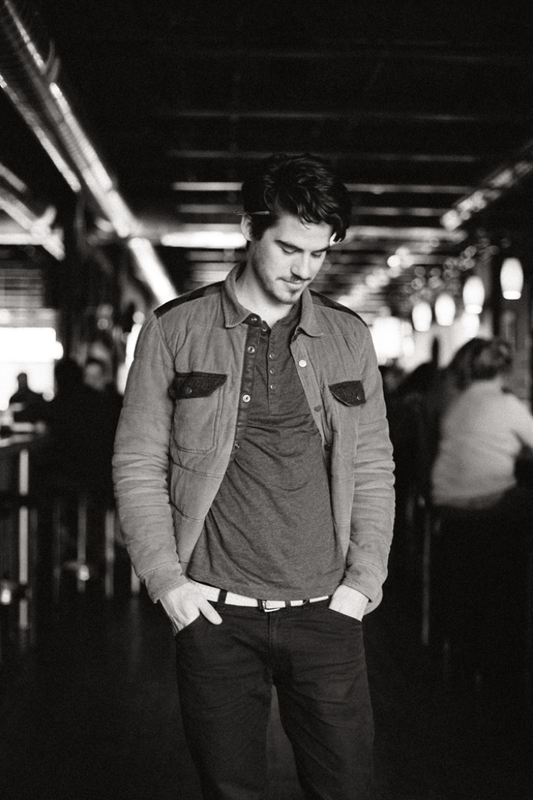 JohnPaul’s view of the world and craft is inspiring and beautiful. There are few people in this world who blindly chase their dreams with their gut, most are too afraid. But JohnPaul isn’t and in fact he is someone who has chased hard and fast towards what he loves and feels called to as a creative. Something admirable in a creative world full of safe moves and comfortable work. 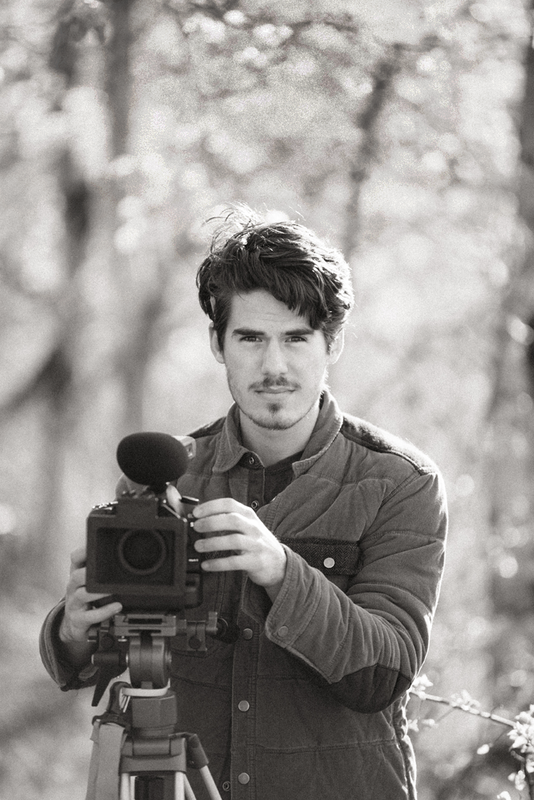 JohnPaul owns Eleven35 productions with his friend, Grant Floering. The two together are dynamic and create some incredibly gorgeous work you won’t want to miss so check it out. These are two guys to watch. Before getting into the interview I suggest you all watch this video from JohnPaul and the theory on his concept of beauty. One thing to take note of here ladies is this man is very single….hint hint! 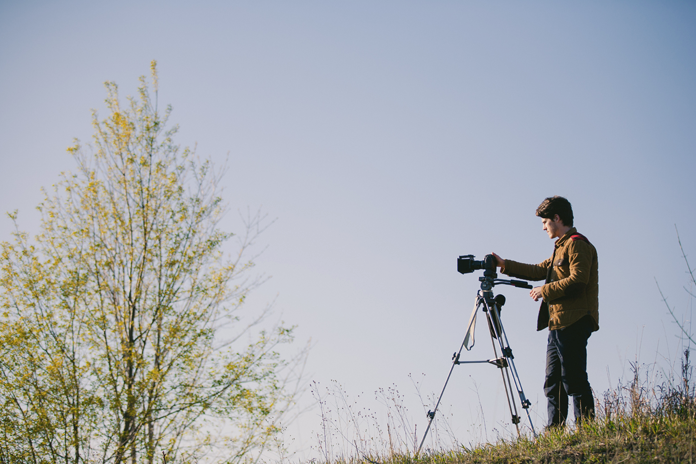 You are a videographer, but there is much more to it than just those words. Explain your craft through your eyes. I’m trying my best all the time to create films with valuable content and beautiful, dynamic imagery. Everything else I do is simply to support this. Going to meetings, writing e-mails and coordinating schedules is how it starts. It ends choosing export settings and compression types. But somewhere in the beautiful middle I am outside with Eleven35’s equipment, setting shutter speeds, exposure, choosing lenses and filters, and perfecting composition and light. I love that. I think that is my craft. Currently you are living in Traverse City but have traveled a lot more recently. What of these travel experiences has inspired you? What do you feel you take away from your time in those places? It’s really added an honesty to my work. I feel like I’m suddenly seeing Michigan for the first time. I’d been quick to think that imagery made in our “backyard” somehow wasn’t legitimate and I tried to disguise the fact that my work was being produced in Michigan. But Michigan is actually really dear to me now. I am proud and happy to be working here and I want to showcase the land and the people. I have an affection for the way the trees grow here, sappy things like that. Once, I was alone in a Port-au-Prince ghetto (Haiti) taking pictures and I asked a young man for permission to photograph him but he insisted that first I explain why. This turned into a long, difficult conversation, partly because his english was sketchy, but mostly because he legitimately didn’t understand why I would be interested in photographing him or his neighborhood. 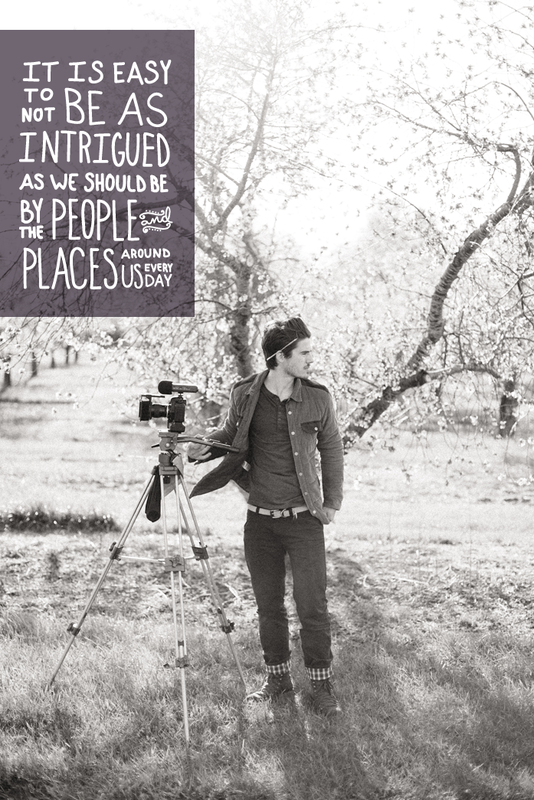 It’s easy not to be as intrigued as we should be by the people and places around us everyday. You have stayed out of the big city, what is it that has kept you on the West Coast of Michigan? Why are you not clamoring for skyscrapers? I think cities are beautiful, but I have a crush on fields and forests. I travel a lot for work and usually to big cities, so when I am able to go to where I call “home” what I really, really want is to be able to retreat to someplace quiet and green with a country road that leads to Lake Michigan. An ideal office for me might be a tree-fort that can be exited via zip-line, and in city parks that sort of thing is frowned upon, possibly illegal. You talk about surrounding yourself with talented people in your video, emphasize on that idea. It’s really great to be able to take advantage of other peoples’ talents. Collaborating with friends and colleagues who are as excited about making something as I am is one of the most rewarding things I can think of. And equally as rewarding is looking at the final fruit of our collective labor and seeing that it’s a beautiful whole made up of strongly complimenting parts and pieces. And on top of that, it’s hard not to like someone who does great work, and it’s hard not to have fun working with someone you like. As an artist it is important to have support. How have your family and friends encouraged your work? My family has too much faith in me. I could probably tell my family that I’m selling all I own to invest in beet farming and they’d still support and encourage me in that. I really appreciate that kind of blind enthusiasm. I’m being completely serious. I love that about my family. It also helps that most of my friends are really legitimate and talented artists in their own right, doing music, photography and design. I can shamelessly steal from them and them from me, standing on the shoulders of each other’s ideas. Iron also sharpens iron as we tell each other what we love and loathe about each other’s work. Also, my church as a whole really embraces what I do and encourages me greatly. It’d be wrong not to extend gratitude to that community in my life. As someone that is deeply passionate about his work what would you say drives everything you do? What makes you crave making the imagery you do with the people you do? This is hard work. None of this comes easy to me. I love working hard with people to uncover and create things of beauty and depth, but I think the reason I’m so intensely enamored with the art and the process is because I see something deeper there. We can see God’s beauty through the created world. There is a beauty in this earth that creates such a terrible stirring in me that I know it must be connected to something much bigger than just light and color. I love that and can’t get enough of it. There is always a light bulb moment when it all makes sense as to what you are supposed to do with your art and passion. Has that hit? Either way explain. I can say that there is a definite moment that set the tone for what I want to do. I watched a film called the Third & the Seventh. It is only 10 minutes long. I won’t spoil it for anyone who hasn’t seen it, but I will say that it is possibly the most beautiful work of film, visually, that I’ve seen. It’s profound in almost no way except that it’s visually stunning, in a quiet way. That film set a standard for me that I’ll be working toward for a long time. 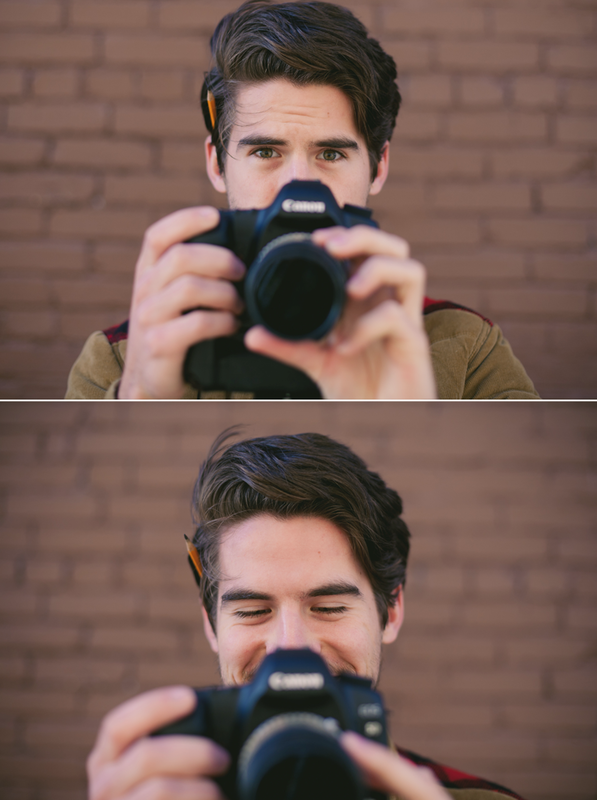 How has your eye for video changed your perspective on life? Working with a visual medium, especially with storytelling, has really changed the way I think about my surroundings. I’ve also developed a strong affection for wooden things, sunlight, and the written word. I find myself wanting those things around me all the time. Working with visual media has changed my idea of beauty as well, from what is ultimately pleasing to the eye to what is interesting as well, to things that I don’t understand. At the end of the day what is the most rewarding part of creating for you? The most rewarding thing for me is to see something that I do actually work. And by work, I mean, not fail. I always start a project with a grandiose vision in my head of what I want it to be, but when I’m in the thick of shooting or editing, the project usually begins to look, to me, more and more like a failed attempt at something ambiguous. I start thinking I’d be smart to quit and start again. But the most rewarding part of creating is when, purely by the grace of God, the image on my Macbook Pro suddenly looks strikingly like that original grandiose vision. When I can show and share with people images that were previously only in my head, that’s huge for me. Finally what is the piece of advice you would give anyone pursuing a creative life? Fake as little as you can. For those of us whose art is also our full time job, our art is our life and our life is our art. Be as intentional about crafting your life and your surroundings as you are about crafting your skills and portfolio. If you live a disciplined, energized life and work in an environment that lifts you up and pushes you forward, then everything you do will flow more naturally from that. 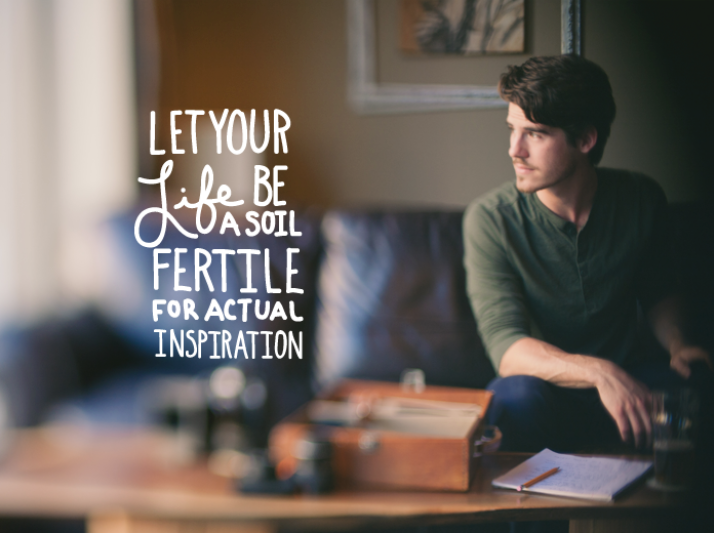 Let your life be a soil fertile for actual inspiration. Don’t fake it. 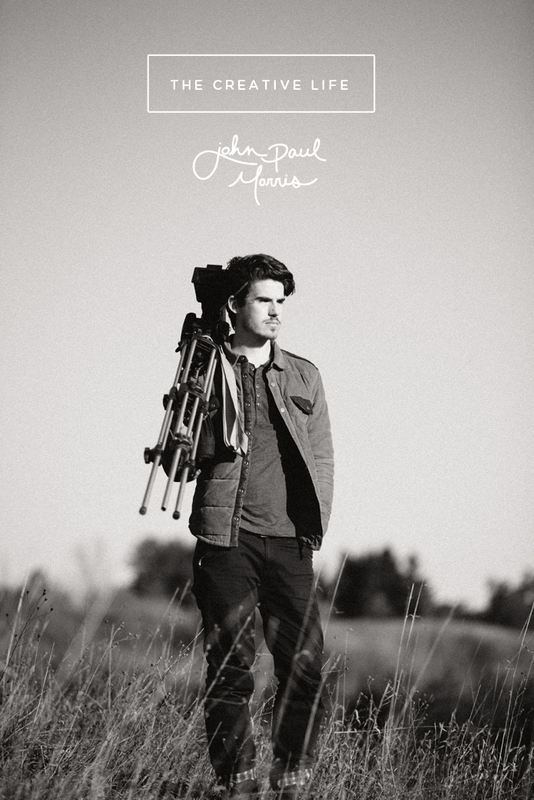 Thank you JohnPaul for being apart of The Creative Life! Also a big thanks to 7 Monks in downtown Traverse City for letting us shoot and drink great local brews. A must stop at bar in Traverse City. 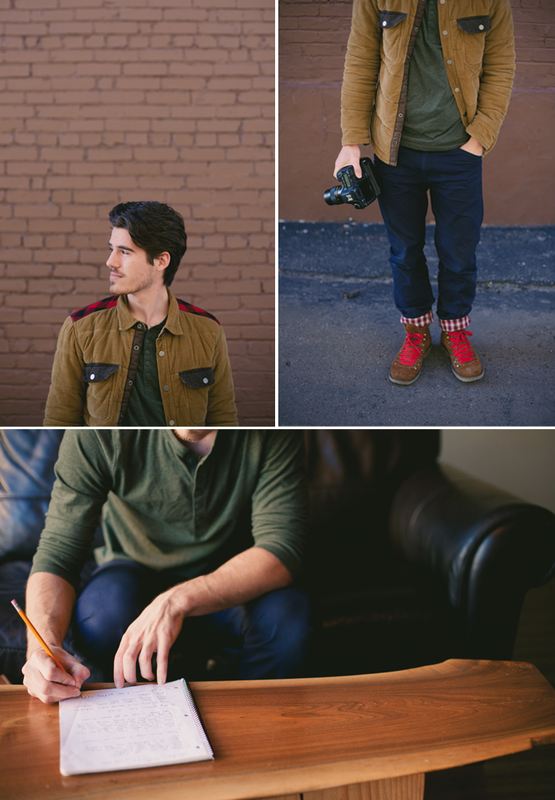 Finally all of these gorgeous images were shot by the talented Cory Weber. Always a pleasure working with this guy! Nice piece Megan! It was an honor to work with you two and I am looking forward to doing it again soon! a tree-fort with a zipline exit is quite possibly the best idea for an office i’ve ever heard. This is fresh. We are surrounded by so many talented people it’s crazy! 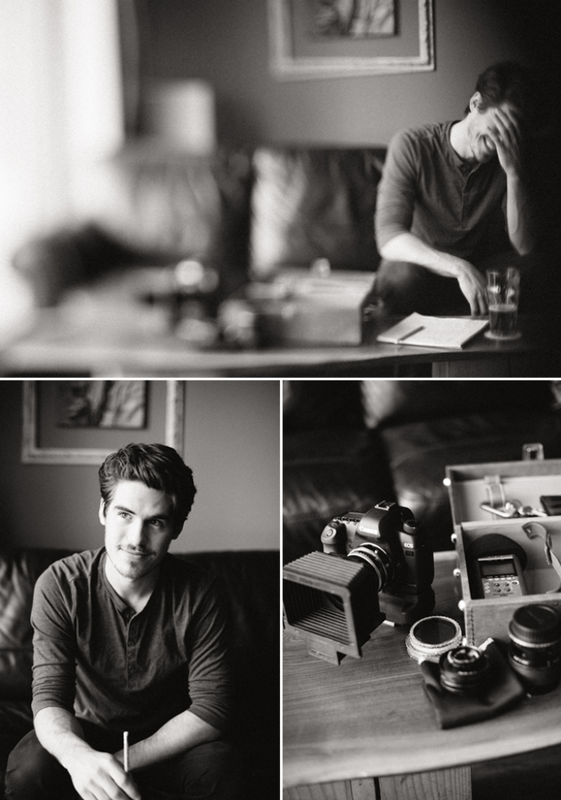 This post is a great combination of beautiful photography, graphic design & page layout. Well done team!